Casa Astillero Beach Resort in Calatagan Batangas, known for it's campsite, suitable for team buildings, is now offering affordable, intimate, and unique beach weddings. 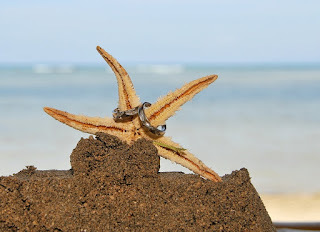 The resort, a 2,500sqm pearly white sand site is located at Barangay Santa Ana Calatagan in Batangas. It is a semi-private beach resort inside Caisip compound where the famous Villa Sachico and an ancestral house of Zobel de Ayalas are located. Casa Astillero is a perfect getaway to unwind and relax, with its tranquil view of the beach, affordable cottages and kabanas and perfect campsite, where one can build a bonfire by the beach at night, grill your favorite dish and relax till sunrise. Casa Astillero Beach Resort is embarking on another service, which definitely mirrors the beautiful and pristine beaches in Calatagan – weddings. Last June 2, 2015, Casa Astillero Beach Resort has introduced its enchanting beach wedding services to family and friends, during an intimate gathering. 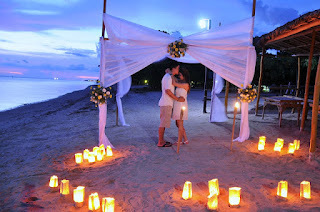 Casa Astillero is perfect for someone who is looking for an intimate and affordable beach wedding venue in Calatagan. The place is not too big, not too small, which is ideal for an intimate and sweet inspired beach wedding. The beautiful place is equipped with a session hall, which has a capacity of 100 guests, Kabanas, Kubo (Nipa Hut in English), open picnic cottages, and tents for adventurous couples out there! They also have air-conditioned spacious rooms, good for families of 4 and/or honeymooners. They could also provide mattresses for extra person/s if need be. If you are looking for a beach wedding destination, Casa Astillero Beach Resort could just be the place for you. If you want to visit the place, please do not hesitate to contact Pam at pamastillero@yahoo.com. You may visit their website for further details: www.casaastillero.com.